ICF & BCC Accredited* Online PERFORMANCE COACH CERTIFICATION Program & MORE! *Performance Coach University is double accredited by both ICF & BCC organizations which is the GOLD standard in coaching. PCU certified coaches are experts at helping individuals and organizations increase their performance both personally and professionally. Join our 12 week online coach certification program and become a world-class performance coach. Our accredited online coach certification has a strong focus on training coaches and leaders to overcome barriers that prevent their coaching clients and team from reaching their peak performance. As a life coach, you must be an effective change agent. But do you know how to truly help your clients excel in their personal and professional performance? Learn about the growing demand of performance coaches and become a certified performance coach. Becoming a certified coach will be your greatest career move yet. Build a local or global business based on performance coaching. Add a niche to your certified coaching practice, attract more coaching clients, and improve your bottom line. Our online coach certification classes build an understanding of performance coaching and the use of specific coaching tools to increase human performance. Ready to level up how you can make an impact in peoples’ lives? Apply today to become a certified coach. A 12 Week Comprehensive Training Program Focused on Performance, Accountability, and Results. Make Money & Change peoples' lives doing what you love. If you want to pursue a meaningful career helping others, you’re in the right place. Performance Coach University offers a comprehensive 12- week intensive online coach certification which teaches a variety of performance focused coaching strategies and coaching tools to help others achieve their goals in a fast and effective manner. Each coaching tool and concept is designed to provide you with the utmost confidence in delivery and impact with your client. Through a deeper understanding of what drives people to change and how to help them take immediate action, PCU certified coaches deliver an invaluable service to their clients by creating lasting change and increasing performance. To learn more about our upcoming classes and become a certified coach with Performance Coach University, head on over the to "apply" page. Live office hours, accountability partners, on-going support for ever-lasting improvement in your coaching practice. Check Out What Some of Our Grads are Doing Now! 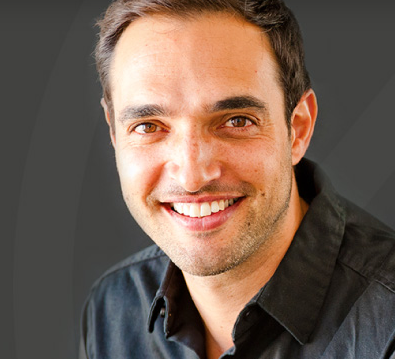 Jairek began coaching over 12 years ago under the #1 life coach in the world. Within 8 months of opening his own coaching business, Robbins broke $100k. Between coaching, speaking, and training all over the world, Jairek has become a mentor to other coaches wanting to achieve success as a performance coach. Roger James Hamilton is a Hong Kong born, Singapore-based New York Times Bestseller author, educator and social entrepreneur. He is best known as “Asia’s leading wealth consultant” and the creator of the Wealth Dynamics profiling system for entrepreneurs, which is a psychometric test for entrepreneurs and businesses. Rachel is an intellectual property lawyer, business coach, and the creator of Small Business Bodyguard. The best coaching program out there. It’s the way forward. PCU provides you with the solid foundation and knowledge you need to step up and become the leader you are called to be. I learned more in my time with Jairek than in my 4 years Masters degree. Jairek is the best teacher you could ask for. His team are amazing. Best money I ever spent on personal development. Top notch training. I made a shift from being a Commercial Pilot to an Executive Coach and Presentation Trainer in the last 8 years. Because of some of the Coaching tools that Jairek shared with me I was able to sign a million dollar coaching deal with my corporate clients. I am excited to go through this program with Jairek & learn all his tools combined so that I can serve my clients at an even higher level. PCU is loaded with tools, strategies and tested-out ideas. Super learning! PCU is truly a fantastic experience and I have learned an incredible amount! I’ve learned more about coaching in 10 modules of Performance Coach University than I have in the last 2 years trying to piece it all together. This program is extremely valuable and is definitely the fulcrum to my practice.